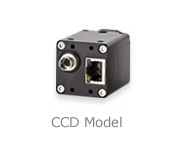 PoE comaptible GigE Vision CCD camera. VGA,XGA,1.3M,SXGA,UXGA and 5M are all same size and shape 5 types higher fps cameras contribute to the improvement of the tack time. 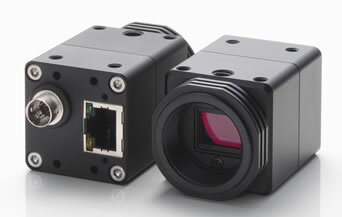 High resolution, high speed CMOS sensors adopted PoE compatible GigE camera. 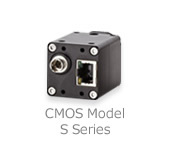 Sony CMOS [Pregius] adopted cameras are also available. 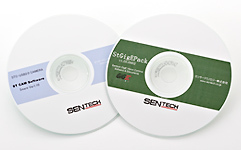 Software and driver installers for OMRON SENTECH GigE Vision® cameras. 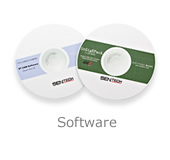 OMRON SENTECH provides these materials free of charge upon camera purchase. 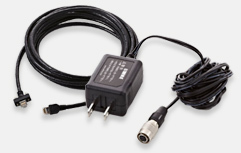 This section outlines optional equipment for use with GigE Vision® cameras. 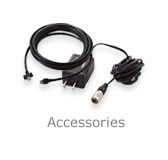 The lineup includes AC adapters, screw-fastened robot LAN cables and network adapters.